From the head of the North Mathias River climb the Omatane Glacier to reach the start of the North Ridge. A straightforward climb although the rock is loose in places. From Unknown Col the ridge is broad at first but steepens below the summit and may require a traverse right onto the face. This is a straightforward climb in good snow conditions but involves some tricky loose rock in late season. 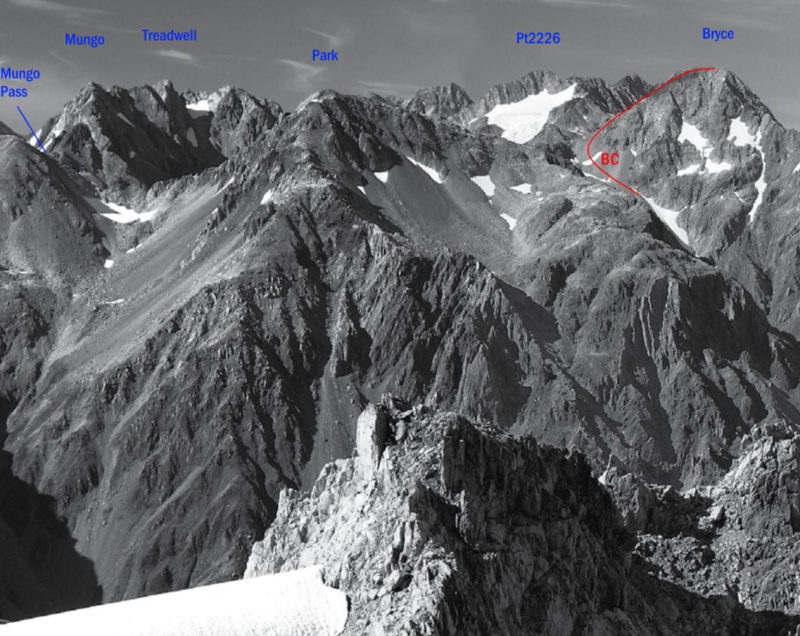 From the upper Unknown Stream, follow a vague rock buttress to a high point immediately north-east of a small col marking the foot of the East Ridge. Climb into the col then follow the ridge to the summit. 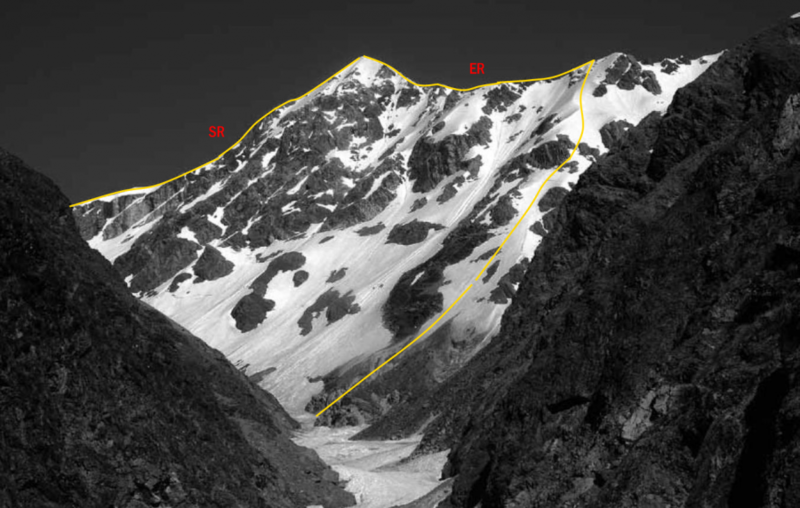 This is a straightforward climb in good snow conditions, but involves some loose rock in late season. Brunswick Creek provides straightforward access directly up the branch draining Mt Bryce. Continue up scree to the south. From the upper Brunswick, fairly easy rock scrambling in late summer leads up the north-east face.